In this article we will take a high-level overview look at how the Checkpoint Feature works. Checkpoints have long been seen and used as an accountability tool used to prove that an officer was onsite and moving around. Silvertrac has pioneered using Checkpoints for Risk and Liability Mitigation. In Silvertrac a Checkpoint is a physical item that must be scanned or read at a specific location. These include QR Codes, Barcodes or NFC Chips. The Checkpoint Feature allows you to create officer instruction notes for each individual checkpoint that the officer must acknowledge. This allows you to report to your client not only THAT your officer was at a specific location on site, but also WHAT they did when they were at that specific location. The physical checkpoint scan, the officer instructions, the officer acknowledgement, the officer's notes, audio files and photos and the closing of the checkpoint are all individually date and time stamped and the checkpoint is GPS date and time stamped. The Checkpoint Feature allows you to create pre-populated Report Notes for each individual checkpoint that the Property or Facility Manager will see in the Daily Activity Report. A Checkpoint can also be a set up as part of a Checkpoint Tour. Silvertrac users can created unlimited QR Codes within the Silvertrac portal. QR Codes can be used in your Silvertrac Portal with both Android and IOS platforms. A Barcode contains vertical bars that vary in thickness and distance from each other to create a representation of data such as URL’s, plain text and alphanumeric data. Barcodes are purchased by a third party vendor and can be used in your Silvertrac Portal with both Android and IOS platforms. 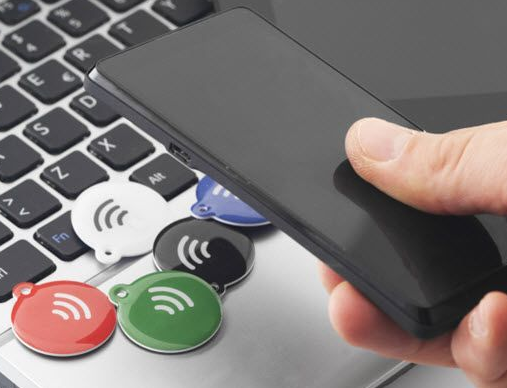 NFC (Near Field Communication) is a wireless technology which allows for the transfer of data such as URL’s, plain text and alphanumeric data between a chip and a NFC enabled device. NFC Tags are purchased by a third party vendor and can be used in your Silvertrac Portal with the Android platform ONLY. IOS does not currently allow NFC enabling outside of Apply Pay.